I want to drive to there. Suggestions via these wonderful Quora travelers. The Great Ocean Road was built by returned soldiers between 1919 and 1932 and is dedicated to those killed during World War I, making the road the world's largest war memorial. The road passes by many famous natural landmarks, including the famous limestone formations known as the "Twelve Apostles." The Hana Highway is a 68-mile (109 km) stretch of road that connects Kahului with the town of Hana in east Maui. For those who stay the course, at the end of the Hana Highway is the Oheo Gulch, also known as the "Seven Sacred Pools." 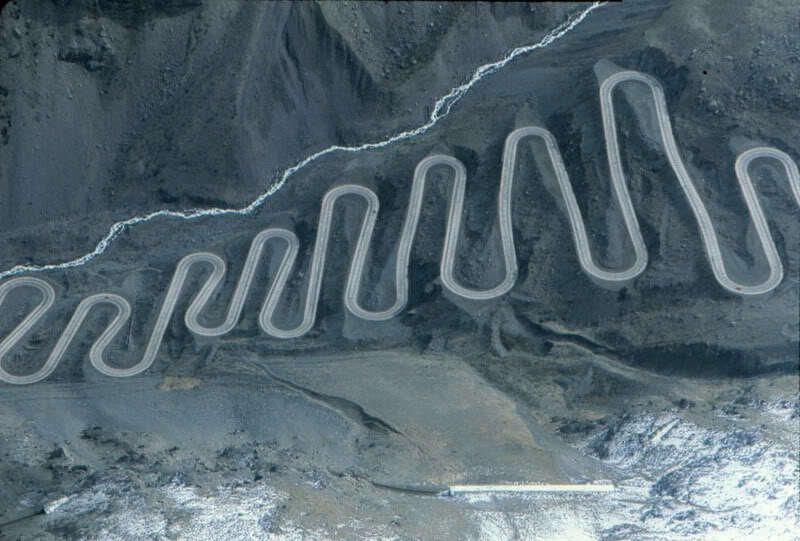 This road acts as the main transportation route between Santiago, Chile, and Mendoza, Argentina. Due to its elevation, it's covered with a light layer of snow or ice for the majority of the year. Going-to-the-Sun Road is the only road to pass through Glacier National Park winding through Logan Pass. Every year it's one of the most difficult roads to snow plow, as the roads can be covered with up to 80 feet (24 m) of snow each winter. Stelvio Pass is the second-highest paved mountain pass in the Eastern Alps — at 9,045 feet (2,757 m) — after the Col de l'Iseran. Just above the pass is the "Three Languages Peak," which earned its name because it is the location where the Italian, German, and Romansh languages meet. The construction of the Millau Viaduct began in 2001 and cost about €400 million to complete. With one mast's summit at 1,125 feet (343 meters) above the base of the structure, the Millau Viaduct is the tallest bridge in the world.